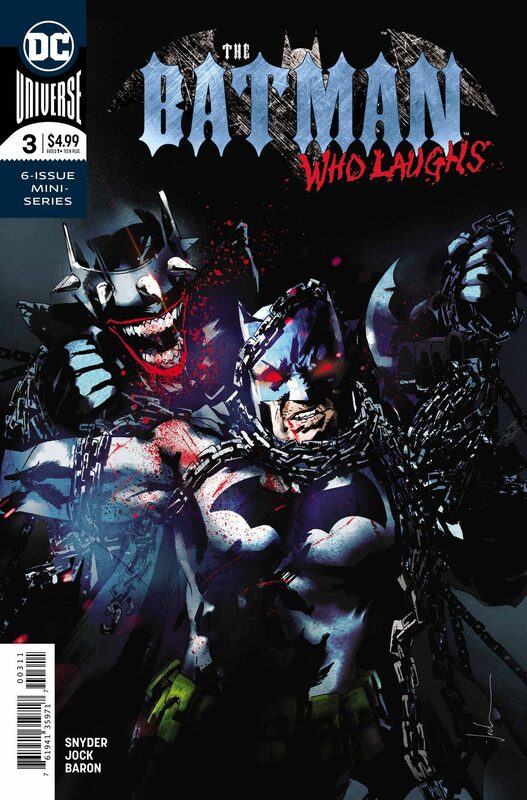 Batman’s run through the wringer continues in The Batman Who Laughs #3. He is making next to no progress, again. James Gordon Jr. isn’t any help. Commissioner James Gordon is having an adverse effect now. The Joker is getting involved now, too? 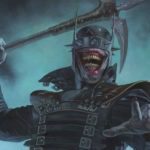 The Batman Who Laughs continues to win. With the Grim Knight by his side, it’s hard to imagine a way he loses. Batman also has that internal struggling he’s battling within. Hard to say he’s having success with that fight either. 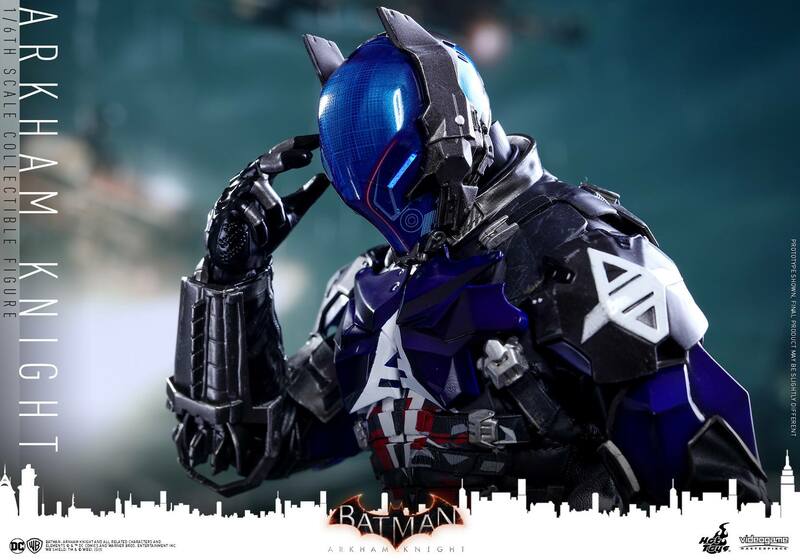 Look, Bruce Wayne always finds a way. The problem is, he’s facing two evil versions of himself, alone. 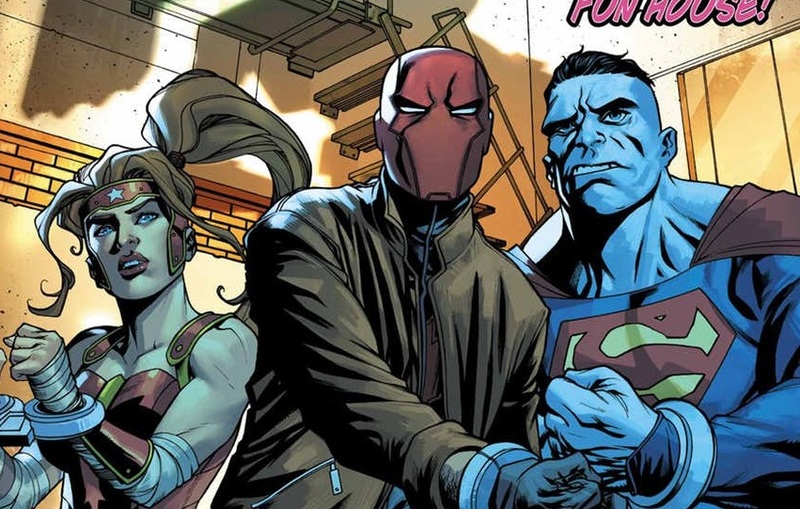 There’s no Justice League by his side like in Dark Nights: Metal. The Joker might end up helping, but to what end? Bruce can win this, but not in the manner in which he prefers—he knows it, too. Even if he does win, what will that look like? More importantly, what will he look like at the end of it all? 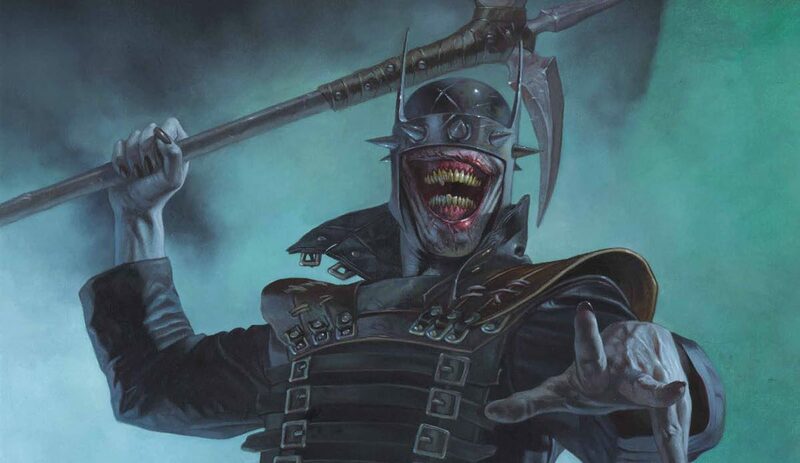 While the good Batman continues to chase his own tail, the Batman Who Laughs is running a train on Gotham and keeps bringing Bruce Waynes in from alternate universes. If nothing else, Batman’s villains are learning just how lucky they’ve been. If The Batman Who Laughs was their Batman, or even if the Grim Knight was, they’d have been dead a long time ago. Between the two, though, it’s hard to tell who’d do better on their own: The Batman Who Laughs or the Grim Knight. It probably won’t happen anytime soon, or may never, in fact, but it’d be an interesting fight nevertheless. Last thing, the Joker looks terrible, even by his standards. Jock’s art and David Baron’s colors only make things look a million times, worse—in a good way.